The 20th Academy Awards spread awards around, with no film receiving more than 3 awards, the last time this would happen until the 78th Academy Awards. The surprise winner for this year was Loretta Young for The Farmer's Daughter despite Rosalind Russell campaigning heavily for her performance in Mourning Becomes Electra. James Baskett received a special Oscar for portrayal of Uncle Remus in Song of the South, which had the effect of taking him out of the running for a Best Actor nomination. Nonetheless, civil rights organizations were unhappy at what was believed to be an unflattering portrait of African-Americans. 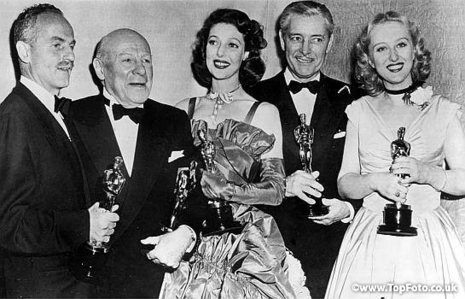 The twentieth Academy Awards ceremony was held on Saturday, March 20, 1948 at the Shrine Civic Auditorium. A survey of how a sampling of Academy members voted was released by Daily Variety on the day of the Academy Awards. Though many of their predictions proved correct, they were horribly wrong in their prediction for best actress. The winner, Loretta Young (The Farmer's Daughter) came in fifth (last) in their listing. After this survey, the Academy asked their members to not reveal how they had voted. There was no host for this ceremony.